If you’re searching for a dark red wine with mysterious origins, look no further than Syrah. This deep red wine is nearly opaque in the glass and comes in a wide range of styles, from the brash and bold Shiraz in Australia to the ultra-refined examples from Hermitage. Syrah was first made popular in France and Hermitage in the Rhone Valley is considered ground zero for the world’s best examples. There are two popular opinions about Syrah’s orgins. One is that a Roman Emperor planted the grape in France in 280 A.D. Another credits an Iranian winemaker bringing the vines from his home country to France in 600 B.C. Either way the grape has been in France for a long time, and France can be credited for making it famous, particularly in the 18th century. At the time of Syrah’s rise to popularity, many other winemakers in France were concerned with creating fashionable wine blends from multiple grapes, but the Rhone Valley producers were intent on making a wine solely from the Syrah grape. This was so unusual that winemakers from all over the world journeyed to France to see the process from which the wine was made, including the Australian James Busby in 1832. Widely regarded as the father of the Australian Wine Industry, Busby took some vine clippings of Syrah with him back to Australia and planted them with great success. For some unknown reason, the Syrah grape began to be called Shiraz by the Australians, and became the most popular wine in Australia! Though the name change might confuse some, Syrah and Shiraz are the same, and the difference merely indicates the wines origins. While we’re discussing confusing names, perhaps you’ve heard of Petite Sirah! Contrary to popular belief, this does not translate to ‘little Syrah’, but rather refers to a grape variety that is the genetic offspring of the Syrah grape and the rare Peloursin grape. The Syrah grape is the sixth most planted grape in the world, sprawling over 460,000 acres worldwide. Both France, where it originated and Australia, where the vine thrived and grew to international popularity, hold the most acres respectively. The Rhone Valley in France hosts 169,000 acres between Cornas, Hermitage, St. Joseph, and Côte-Rôtie. In fact, if you’re looking to impress a date, the wine produced in its birthplace Hermitage is some of the most expensive and highly regarded Syrah available in the world! It’s no secret that Hermitage wines are pricey. Expect $60 on the low end, with almost no ceiling on the high end. 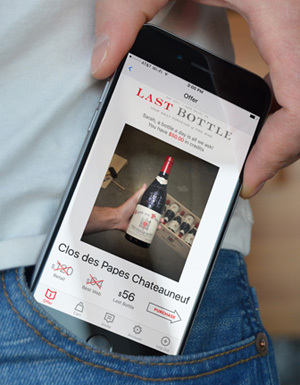 However, there is an alternative for the cash conscious wine shopper – Crozes-Hermitage. This is a much larger area, so there’s way more Syrah coming out of it, but some great values can be found. Australia boasts 105,000 acres of Syrah vines between the Barossa Valley, McLaren Vale and Limestone Coast. Because Syrah from France is so expensive, and even more pricey to import, Australia can be credited with making its Shiraz affordable to export and therefore popular in America. Beckmen makes some fantastic Rhone style wines, and their Syrah is a powerful rich example. The United States only hosts a humble 23,000 acres of Syrah vines, mostly spread between its wine country capitals of Paso Robles, Santa Barbara, Napa, Sonoma Valley in California and the Columbia Valley in Washington. Growers often say that “Syrah likes a view” because the grapes with the best and most concentrated flavor grow on hilltops. Therefore, the rolling hills of American wine country valleys are a perfect host to the vine. Similarly, popular wine country territories in Spain, Argentine, South Africa, Italy and Chile account for some of the worlds acreage for the Syrah grape. Syrah has two very distinct styles. Italy, Spain and France produce what are commonly known as Old World Syrah while Australia, the United States and South American vineyards produce New World Syrah. Syrah is, for the most part, not a beginner’s wine. The wine is never shy or tame; it howls out of the glass. Old World Syrahs tend to have high acidity and gamy, earthy-herbaceous aromas. Flavors tend to be reminiscent of black pepper, smoked meat, bacon, tobacco, – even blood! In contrast, New World Syrah shows a fleshy, fruit-forward style, with blackberry, blueberry, boysenberry, peppermint, allspice and vanilla tend to be more prominent. The flavor in both tends to be more front-loaded for both varieties, featuring a heavy flavor with a peppery or smoked meat aftertaste. There is usually a medium to high presence of oak finish, due to the aging process. Because of this flavor profile, Syrah pairs well with a variety of dishes, and what you choose largely depends on the style of Syrah. These Indian smoked ribs by Food in My Beard seem like a great choice. For rich, bold, new world Syrah, you can’t really go wrong by firing up the BBQ. The jammier, fruity, higher alcohol versions need something equally substantial. 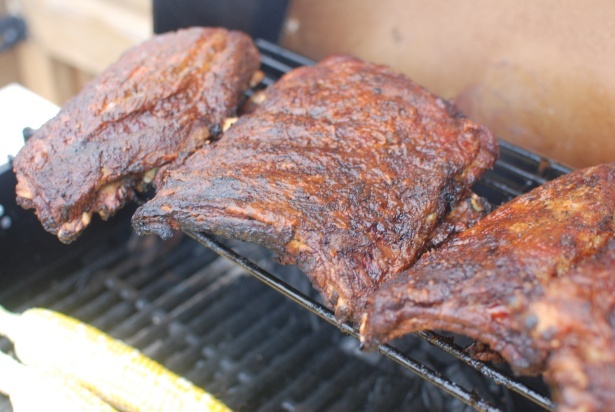 Anything smoked, grilled, charred or seared – maybe some grilled hickory smoked hanger steak or these Indian smoked ribs for example. Because of the rich and hearty nature of the dishes that pair best with Syrah, this wine is a top choice for cold winter months when comfort foods are most enjoyed. 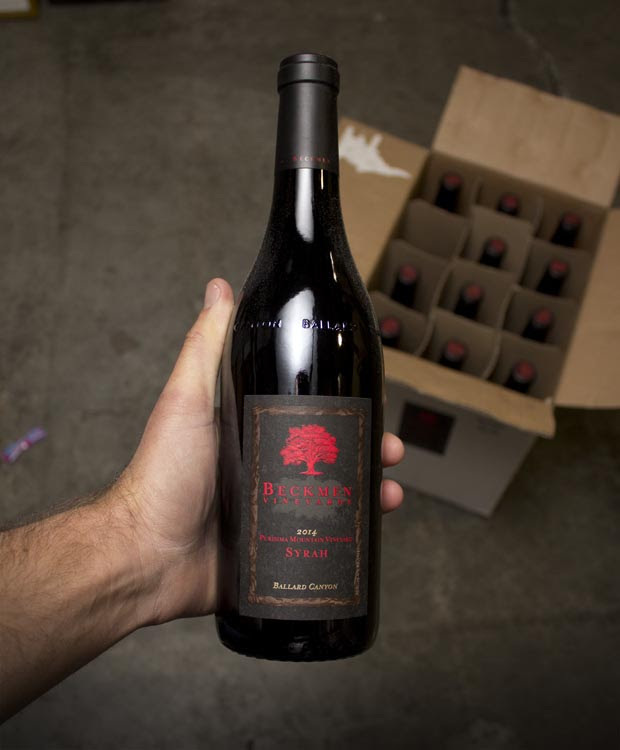 If you’re drinking a lower alcohol, old world Syrah you’ll want to emphasize the spice and earth in the wine. A cassoulet like this slow cooker pork cassoulet would be ideal, or these braised red wine beef shortribs. YUM! If you’re unsure exactly what to order or prepare to partner with your Syrah, we suggest you try a bleu cheese burger, a grilled steak rubbed with peppercorn, a sumptuous roast chicken or perhaps a bowl of beef stew! Can We Get You a Bottle? Syrah is one of those wines that’s so consistently enjoyable, and yet wineries struggle to sell it. That’s good news for you – it means you can find some great values! If you’re on the hunt for high quality Syrah, we’ve got a few recommendations for you that are guaranteed to wow you.